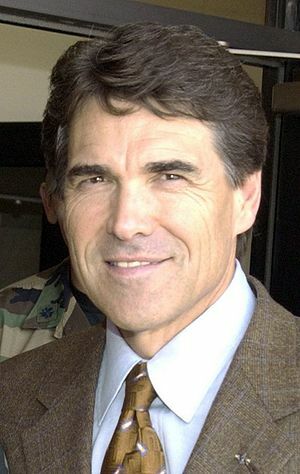 You’ll hear more and more about Rick Perry in coming days and most of it will be bad. Not to say that he is bad, but being a conservative Christian who is demonstrative about his faith and running for US president ensures he’ll get plenty of bad press. Maybe he deserves it, but don’t believe everything you read. American politics is complex, polarised and confrontational with far less political correctness than is present in Australia. Australians would find it hard to even imagine a character like Perry surviving anywhere except on the very fringes of Australian politics, and yet he is emerging as a genuine presidential contender. It would be like Fred Nile being a strong contender for Australian Prime Minister… not likely, no hard feelings Fred. But is his faith genuine, heartfelt, intelligent – giving genuine moral and spiritual impetus to his personal and public life? The secular media won’t even consider such questions. They’ve already stereotyped him as someone to dismiss. Perhaps we’ll join them, but there could be more to him than that. I’m going to keep an eye on him, and to begin with, check out this thoughtful article from Kathleen Kennedy Townsend in The Atlantic. “I sincerely hope you’ll join me in Houston on August 6th and take your place in Reliant Stadium with praying people asking God’s forgiveness, wisdom and provision for our state and nation. There is hope for America. It lies in heaven, and we will find it on our knees. Posted in Comment, FindingFaith, God-spotting, MediaMoments, News, Politics, Religion, Society, Uncategorized.Tagged Australia, Fred Nile, Kathleen Kennedy Townsend, Rick Perry, United States.